*NEWSFLASH* Before I get to the blurb, just a head's up. You've probably heard it already, but there's an auction for disaster relief in Japan going on at Write Hope featuring all writing-related items, like ARCS and critiques. I'm offering a full manuscript critique, followed by a full manuscript read by my agent, Taylor Martindale. That package will be up for bids on Thursday, so please, check it out if you're interested! And now back to our regularly scheduled blurby badness. 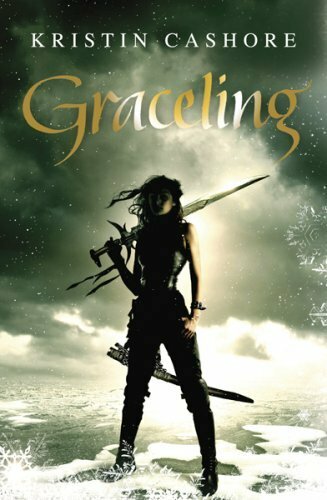 It’s Bad Blurb Tuesday! 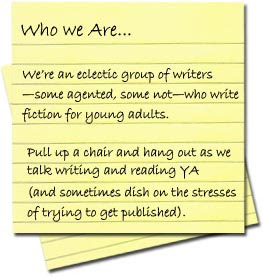 This is where we create a seriously awful blurb for a well known YA book to prove that, yes, bad blurbs/pitches/queries can make even the most awesome stories sound lame. It’s actually one of my superpowers. And here I asked for the ability to make chocolate chip cookies out of broccoli. Oh well—can’t win ‘em all. 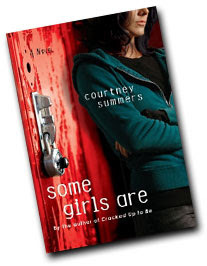 This week, I decided to pick one of my all-time favorite contemporary YA novels: Courtney Summer’s Some Girls Are. Some Girls Are mean. Regina, the main character, sure is. She was mean to her ex-best friend and this one guy—which is a bummer, because she kind of likes him now—and a bunch of other people too. Now her current friends are being mean to her, both in person and on Facebook. Basically, it’s one big circle of meanness. Seriously, doesn’t that profound gem make you want to jump out of your chair and speed to your nearest bookstore? 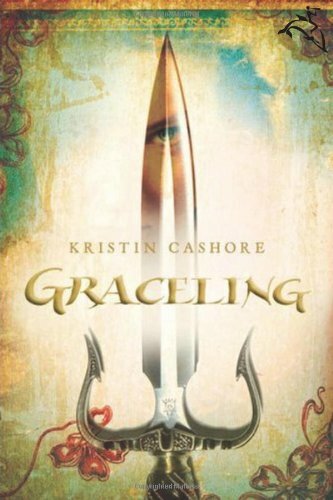 Doesn't it scream 2011 ALA Best Fiction for Young Adults (one of the book's numerous awards)? Climbing to the top of the social ladder is har--falling from it is even harder. 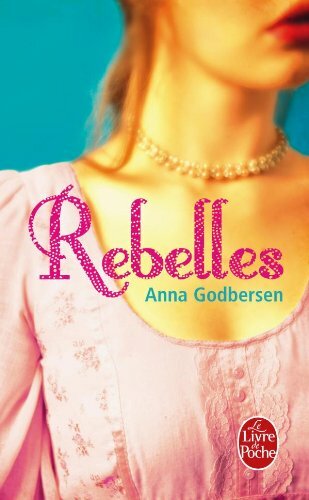 Regina Afton used to be a member of the Fearsome Fivesome, an all-girl clique both feared and revered by the students at Hallowell High... until vicious rumors about her and her best friend's boyfriend start going around. Now Regina's been "frozen out" and her ex-best friends are out for revenge. If Regina was guilty, it would be one thing, but the rumors are far from the terrifying truth and the bullying is getting more intense by the day. She takes solace in the company of Michael Hayden, a misfit with a tragic past who she herself used to bully. Friendship doesn't come easily for these onetime enemies, and as Regina works hard to make amends for her past, she realizes Michael could be more than just a friend... if threats from the Fearsome Foursome don't break them both first. So, what do you think? Will St. Martin’s be offering me a job as their jacket-copy writer anytime soon? Also, think you can do better in the bad blurb department? Go for it, and leave your version in the comments! Going Indie: What Do You Think? In today's sucky economy money is tight everywhere. Every industry has cut back, limiting the amount of money they spend on things. The literary world is no exception to this. A lot of agents are even putting in their query rejection letters that the economy has a direct impact based on rejections. 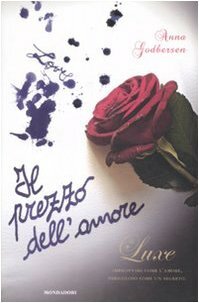 She published her first two books on April 15, 2010. Since then, she has sold 900,000 copies (gulp!) 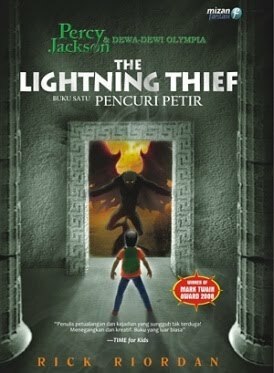 of more than 9 different books. Her novella and three of her novels are 99 cents in e-book. The other 5 go for $2.99. Her novels are also available in paperback, for $8.99 or $9.99. Now, let's take a moment to digest all this and do some math. Even if every single book sold went for 99 cents, and remembering that she earns 70 cents on every dollar of sales, by my estimation she has pulled in close to $620,000 already. In her blog, Hocking says she's had an agent since last August. Even if she paid her agent $100,000 a year, she has still earned more than half a million. You can check out Amanda Hockings on all the major online book seller sites, like Amazon, or you can check out her awesome blog, where she just announced her traditional publishing deal with St. Martians Press. Another great indie writer is J.L. Bryan. He has several titles out now and an amazing website showcasing all of his works. Several of my writing friends are going indie, and it's not because they aren't talented writers, because they totally are. Some of the best stories I've read over the past couple years are by unpublished authors whose manuscripts, for whatever reason, doesn't fit into the publishing houses budget plans. These are novels they have slaved on for years. For that reason, I cheer them on on their indie journey. There are a ton of unpublished gems out there and I am excited to watch their journey. So, excuses are like.....er, well. BUT, I promise that the Flashback Fridays segment is coming back with some homage to the classics like Anne of Green Gables & Pride and Prejudice as well as other hot topics in the industry. You'll also want to check back in April when we celebrate our ONE Year Anniversary at GotYA!! Some giveaways are coming your way!! urvive one more week before Spring Break. Help me! From all the above the US and the Greek are my favorites. 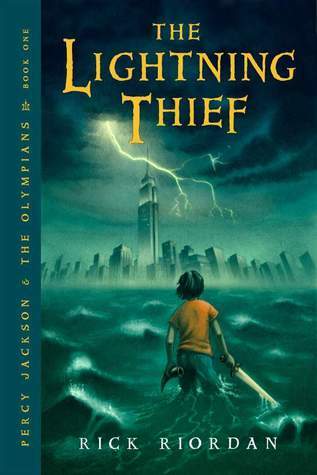 I like that the Greek cover shows the stormy sky. 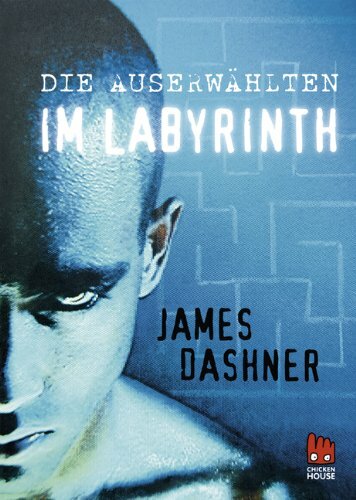 I don't like the German cover so much because it doesn't show the maze. My favorite is the UK cover. 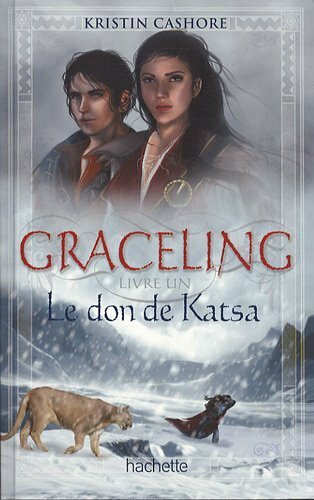 I love how fierce Katsa looks on it. 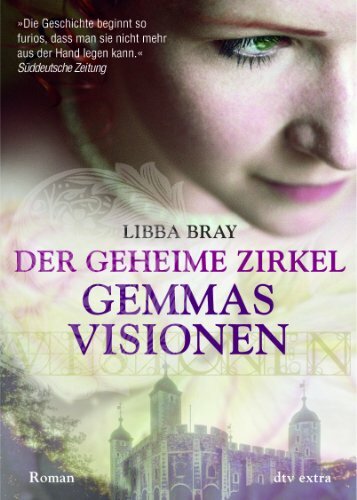 I also like the German paperback with the glowing flowers and the US. Not sure about the Finnish and French though. How can you possibily top the US cover? It's gorgeous and that dress? Stunning. Most countries chose to have the US cover for their books, maybe the French, Spanish and Italian pubs should have done the same. 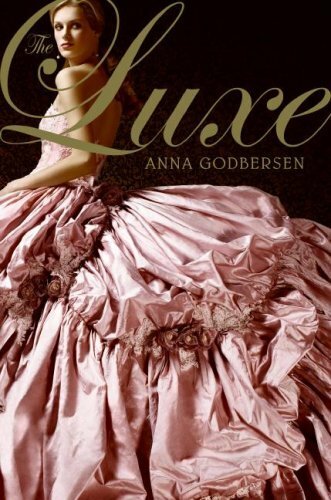 I haven't read The Luxe yet, so I'm not sure what's up with the thorns in the Spanish cover. Maybe one of you can explain it to me in the comments? So what do you say? Have you any favorites? Are there any books you'd like to see in one of my next cover love posts? Just a little something to brighten your St. Patrick's Day! 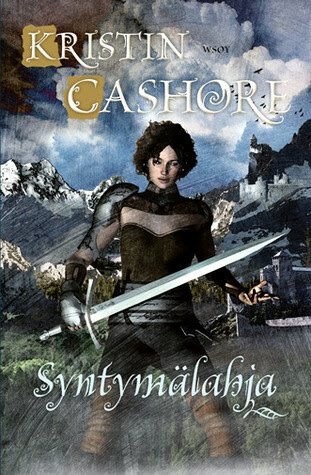 It's time for cover love! 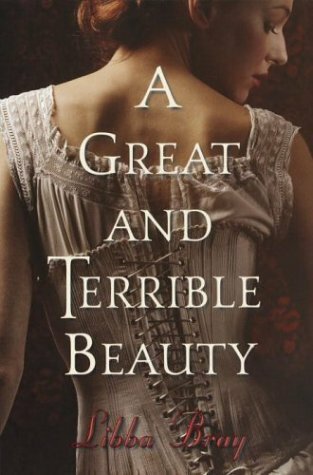 Let's start with A Great and Terrible Beauty by Libba Bray. 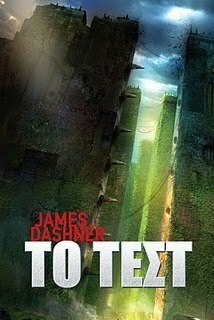 I think the US cover is great because it shows that the book is a historical YA but what it doesn't show is that there are paranormal aspects as well. 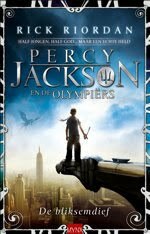 That's what the Spanish cover conveys better. 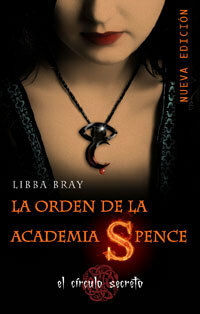 I like how the S of Spence glows and the unusual necklace around the girl's neck. 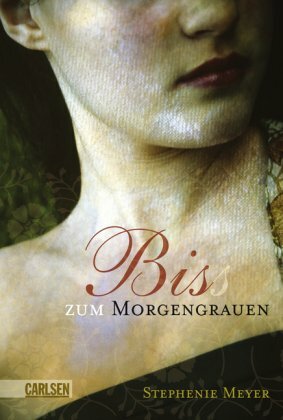 The colors of the German cover are lovely but I wish it was a bit darker. 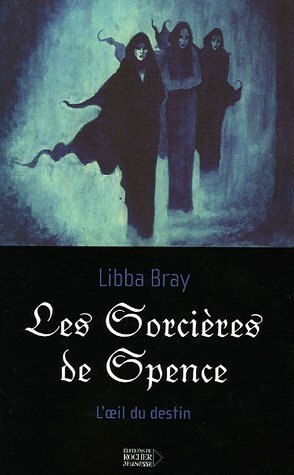 I'm not sure about the French cover. Normally I'm all for dark covers but this one just doesn't appeal to me at all. 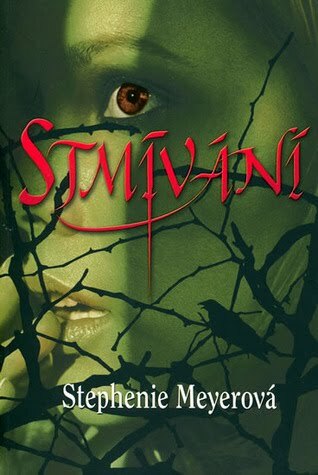 Next: Twilight by Stephenie Meyer. 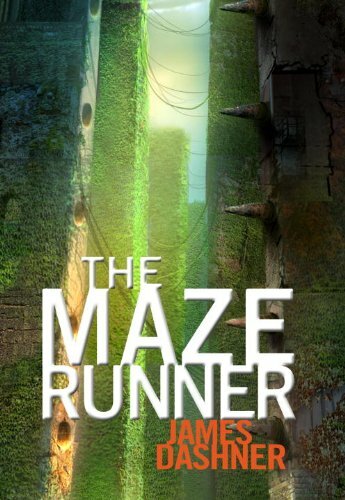 I guess everyone has seen the US cover with the red apple before. It's eyecatching but I'm not sure if I actually like it. I think I prefer the German version, though it has a historical touch. 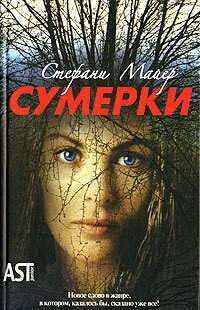 The Russian as well as the Czech cover remind me of The Forest of Hands and Teeth. I really like the Thai version. Sorry that it's so small! 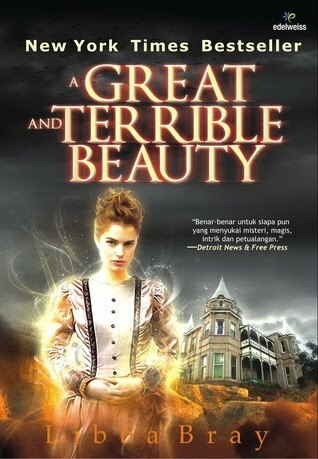 This is MG, so the feel of the cover is a bit different. 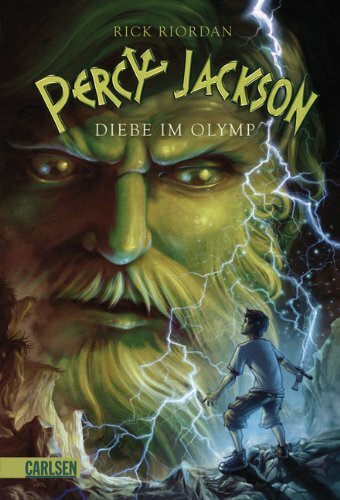 All of the Percy Jackson covers fit the plot but my favorite is the UK version. 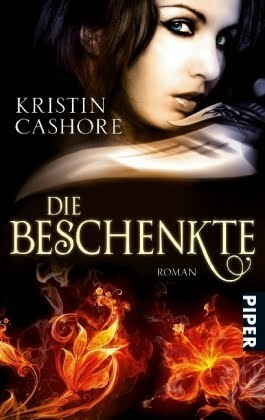 Often, the German covers are really lovely but I'm not sure what to think about the first one. It's kind of funny I guess, so that might be good for Middle Graders but on the other hand I feel that it's a bit uninspired. 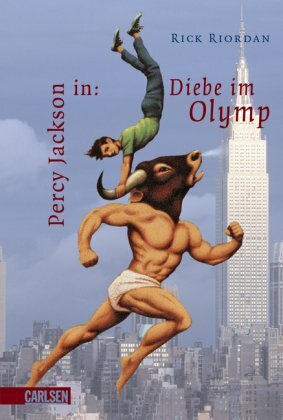 The second German version is much better imo. So what are your favorite covers of the above? To kick off a new weekly segment, Bad Blurb Tuesdays, let’s take a look at my off-the-cuff try at a jacket-copy blurb for Thirteen Reason’s Why. 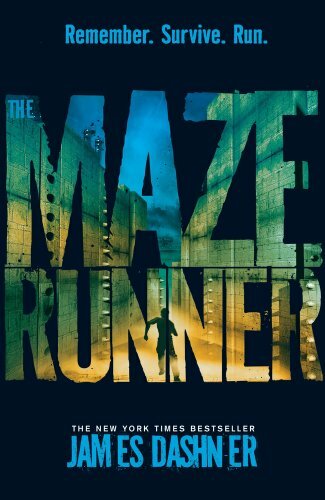 Then we’ll make fun of it and I’ll cry a little (not really) before revealing Jay Asher’s real blurb. FIRST though, you all do know about Thirteen Reason’s Why being made into a movie staring Selena Gomez, right? RIGHT?!?! I'm not a witch. I only play one on tv. Clay Jensen finds a box on his porch filled with tapes. When he plays the first one, Hannah Baker's voice comes out of the speaker like the ghost of a dead girl. 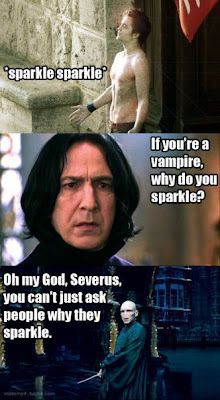 Because she is--a dead girl. 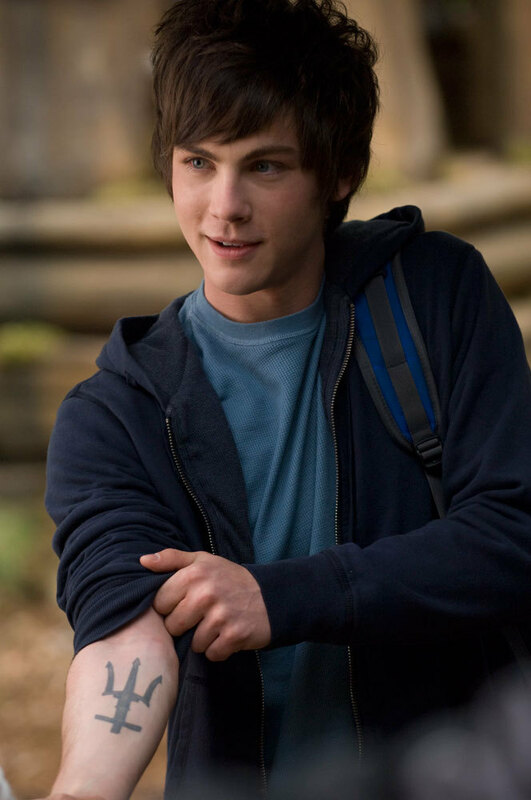 Hannah committed suicide before Clay found the courage to tell her he had a crush on her. Now, here she is, telling him he's one of thirteen people--thirteen reasons why she killed herself. So, what do you think? Let's tear it down. Clay Jensen finds a box on his porch filled with tapes. So??? When he plays the first one, Hannah Baker's voice comes out of the speaker like the ghost of a dead girl. 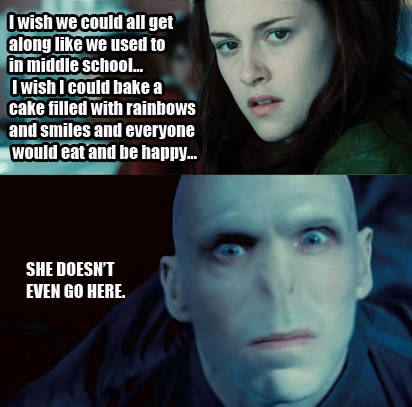 Because she is--a dead girl. 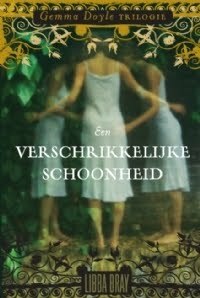 Oh, this is one of those ghost books - the girl comes back and he tells her he loves her, she confesses that she always loved him too, but they can't be together...because she's dead. I get it. Hannah committed suicide before Clay found the courage to tell her he had a crush on her. Now, here she is So she's one of those corporeal ghosts that people can see..., telling him he's one of thirteen people--thirteen reasons why she killed herself. Wait. What? You are so dumb, Jamie. I'm trying not to eye roll. I can't believe the people at Razorbill refused to use my blurb on the back of the book! For sure it's better than this one, right? RIGHT?!? Hannah Baker records the defining moments of the past few years of her life onto seven audiotapes. Thirteen stories involving several people at her school. She packs the tapes into a shoebox and mails them to the first person on the list. Then, she goes home to take her life. Two weeks later, Clay Jensen comes home from school to find a box with no return address leaning against his front door. Inside are seven audiotapes, their sides labeled 1 through 13 in blue nail polish. He has no idea what’s on the tapes, which is kind of exciting…until he presses play. 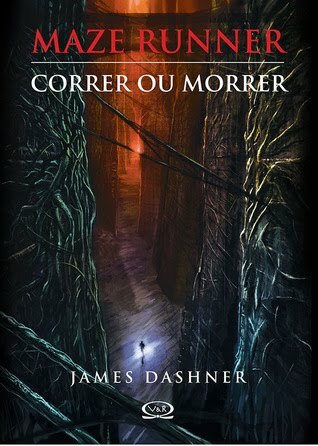 With Hannah’s voice as his narrator, Clay spends the rest of the night wandering through town, visiting places mentioned on the tapes, unearthing the thirteen reasons why Hannah chose to kill herself. And one reason belongs to him. Fine. This one's better. 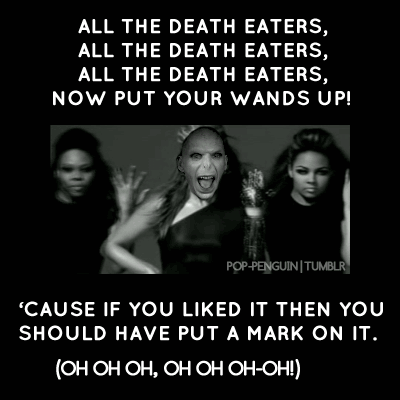 Like 10 million times better. It's got a hook, it's clear and compelling. Heck, I'm going to read it again when I get home today. Have you read our interview with Jay from a LONG time ago pre-GotYA when we were still Old People Writing for Teens? If not, check it out HERE. *Disclaimer - I have a 7 year old and an 8 year old. I'm allowed to watch Disney. ALL. THE. TIME. I think it's required of me, in fact. **See above. It applies to Percy Jackson movies too.